Booking is now open for the next intake of participants for Pathways. 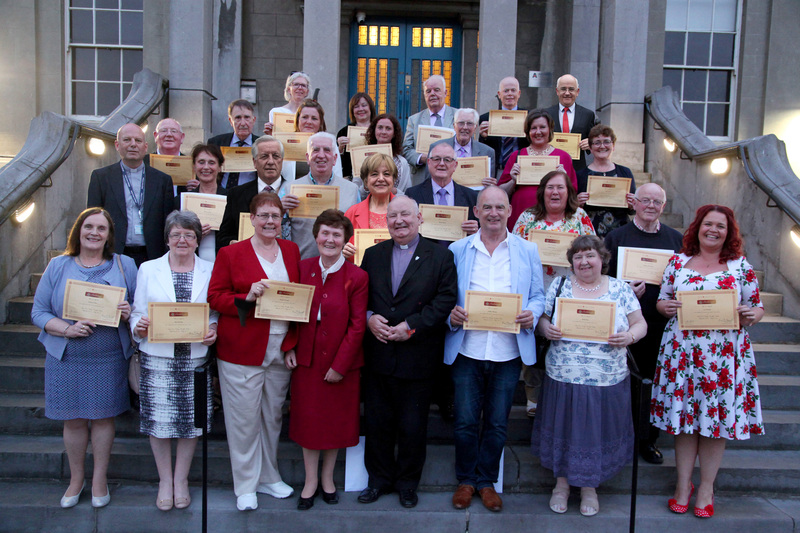 The programme begins this year in Holy Cross College on Thursday 27th September 2018 (7.00pm – 9.30pm). Places are limited so early application is advisable. Pathways is a two-year one night a week course for adults of all ages wish to explore their faith. It runs from late September to May each year. There are no exams and no written work. The only requirement is an openness to listening to others and to participate. You can just come along and enjoy! The cost is €400 for the coming year which may be paid in instalments. Some sponsorship may be available for those of limited means. 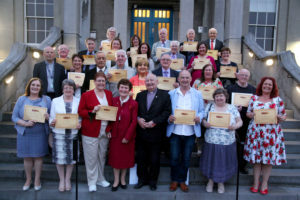 The 25 people who completed Pathways: Exploring Faith and Ministry – a two-year part time course which offered by the Archdiocese of Dublin – are pictured with Bishop Ray Field, who presented the certificates, Sr. Eileen Houlahan, CHF, Director Pathways Programme, and Fr. Kieran McDermott, Episcopal Vicar for Evangelisation and Ecumenism. Photo: John McElroy.